Sat 20th & Sun 21st May 2017. 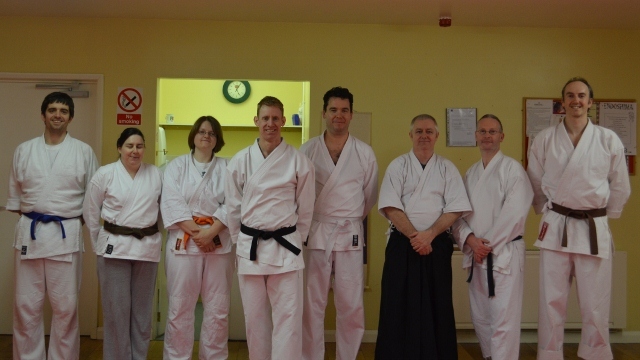 Two days of high quality training in Scotland to celebrate Allander Aikido's 40th anniversary. Sensei Tony taught katate dori and yokomen uchi techniques on Saturday and kumitachi ken variations on Sunday. Sensei Paul taught kumijo variations on Saturday and counter techniques on Sunday. (plus lots of other stuff- if you were there you will know). With students from all across the UK there was a great atmosphere both on the mat and in the pubs and restaurants that we were obliged to visit. A fantastic weekends training. 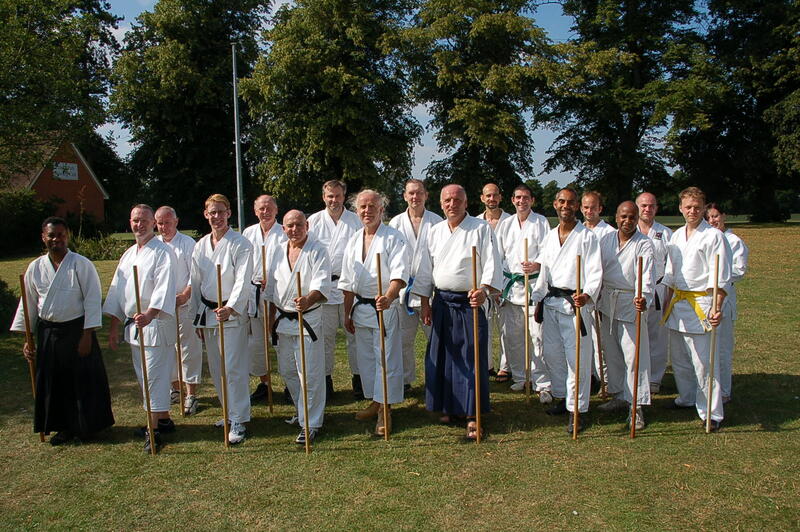 This year we invited Tony Sensei to teach at our anniversary seminar. 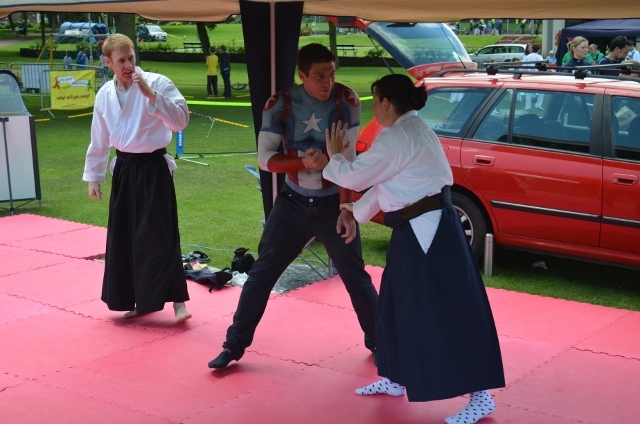 We were joined by old friends from across the UK and new friends from West Midlands Aikido Association. We pushed 5th kumitachi to the limit and enjoyed shihonage ki no nagare variations. Another great day. Sat 9th Aug 2014. Another great days training, this time in Ringwood. Tony Sensei showed progressive moves to stretch the abilities of all there. Thanks also to Sensei’s Paul and John for their insights. 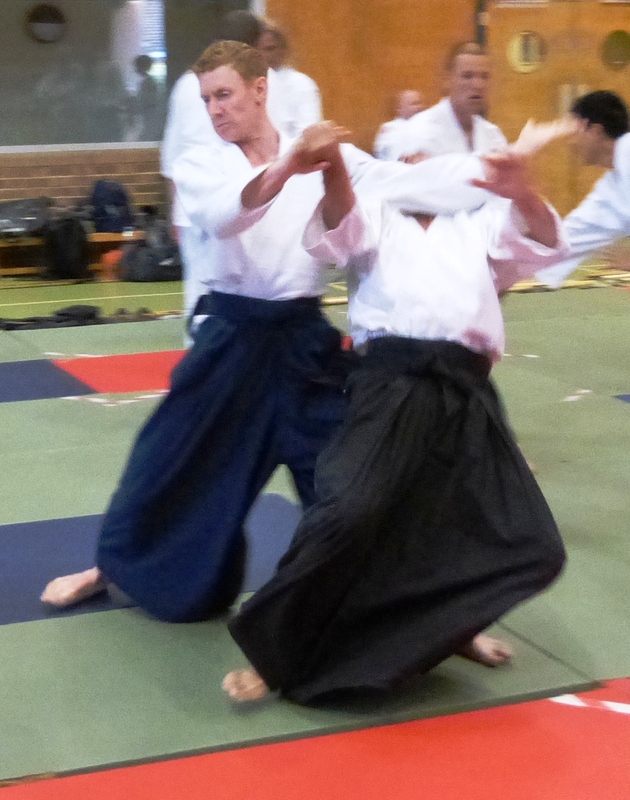 The 31 kumijo was lot’s of fun, as Sensei showed how we could add extra pace and make it even more dynamic. Congratulations to David Green who was awarded his hakama. Good on yer! 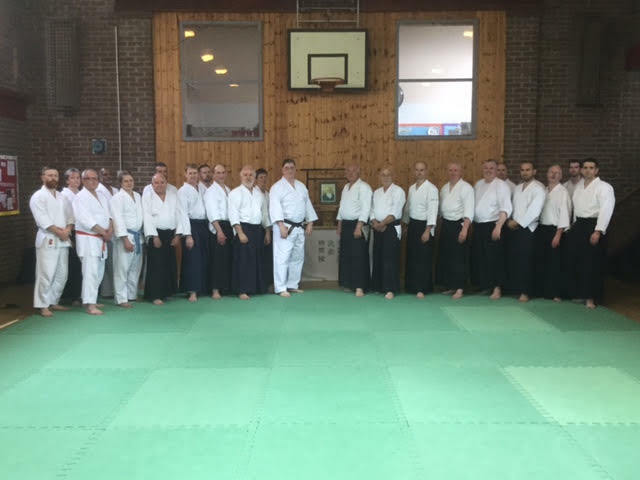 Sensei Tony Sargeant celebrated 40 years in Aikido last weekend and taught in Poole along with Sensei Andy Channer who was celebrating 20 years. Here is a photo of Sensei David practicing some knife taking techniques. On the weekend of the 26th January 2013, we celebrated our 14th Birthday. We may have changed training nights and venues a couple of times over the years but we are still going strong. Club members got together for an extended class on Saturday afternoon. 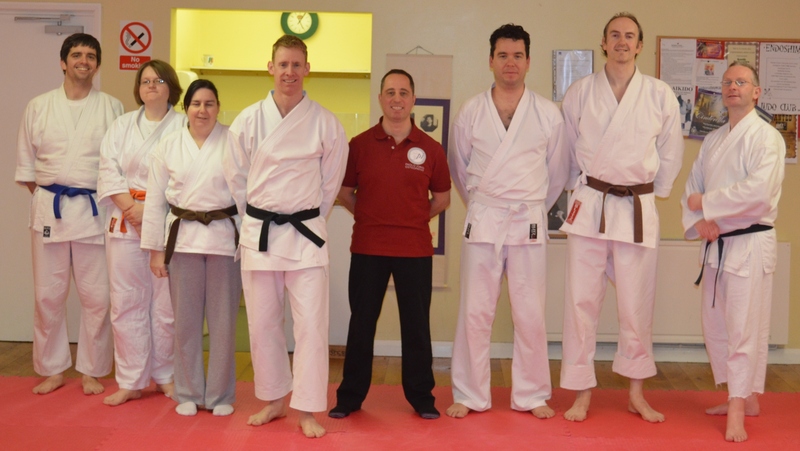 As well as having a little more time to study techniques, we were joined by a local Osteopath who explained how different types of therapies can benefit the Aikido practitioner, and showed us some of the techniques he uses. Everyone said how much they enjoyed the session and how nice it was to incorporate something a little bit different into the day. We rounded the day off with a meal and a few drinks at a local, with wives and partners joining us. A great way finish off, after all Aikido is not just for the dojo. It is estimated that between 8,000 and 10,000 people descend on Maurice Lea Memorial Park each year for the event. It is a weekend that aims to have a bit of everything for everybody. From a wide range of sporting and carnival events with arena activities, side-shows and entertainment to trade, charity and information stalls as well as craft marquees. And, the best news is, there is no entrance fee. 2012's was a rather wet weekend but we made the most of it giving demonstrations and free classes when the weather allowed. We spent about as much time with a mop as we did with a Jo or Ken, but you get your training where you can. Take a look at the gallery to see some of the colourful characters who came on the mat. Look out for us at this summers event and let's hope for a bit more sunshine this year.